[220 pages Report] The lubricant additives market is expected to grow at a CAGR of 2.7%, by value, over the next five years, to reach $16.2 billion by 2019. Asia-Pacific, with its flourishing economy and rapidly expanding industrial and automotive sectors, is the leading consumer of lubricant additives and will experience the highest growth in demand from 2014 to 2019, followed by North America. The major driving factors of this market are the emerging economies in the Asia-Pacific region, as it accounts for nearly 30% of the lubricant additive demand. The growing construction, manufacturing, and automobile industries, with no strict environmental regulations, fuels the demand for moderate quality lubricant additives, due to price sensitivity in the region. This has made Asia-Pacific a global manufacturing and commercial hub where several major companies are setting up their new plants to target high growth markets. Cheap labor and easy availability of feedstocks are major factors that attract manufacturers in the region. Europe and North America, on the other hand, have several environmental regulations that drive the market of alternative fuels, which includes compressed natural gas (CNG), liquefied petroleum gas (LPG), and bio lubricants. This is expected to decrease the demand for lubricants, because their life increase with these fuels, resulting in delayed oil change intervals. 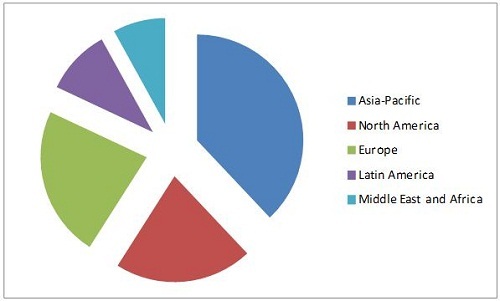 The lubricant additives market has been analyzed in terms of both volume (KT) and value ($Million) for the function types and in volume (KT) for the applications for the five regions, namely, North America, Europe, Asia-Pacific, Latin America, and Middle East and Africa (MEA). For this report, various secondary sources, such as, directories, technical handbooks, company annual reports, industry association publications, chemical magazine articles, world economic outlook, trade websites, and databases have been referred to identify and collect information useful for this extensive commercial study of the lubricant additives market. The primary sources-experts from related industries and suppliers–have been interviewed to obtain and verify critical information, as well as to assess future prospects and market estimations. This lubricant additives report analyzes various marketing trends and establishes the most effective growth strategy in the market. It identifies market dynamics such as drivers, restraints, opportunities, burning issues, and winning imperatives. Major companies such as Lubrizol (U.S.), BASF (Germany), Chevron Oronite (U.S.), Afton (U.S.), Chemtura (U.S.), Infineum (U.K.), Croda (U.K.), Tianhe Chemicals Group (China), Evonik (Germany), and Shamrock Shipping And Trading Limited (Cyprus) have also been profiled in this report. The lubricant additives market is expected to grow at a CAGR of 2.69% by volume over the next five years to 4,865 KT by 2019. Lubricant additive are primarily used to enhance fuel efficiency, improve performance, and engine protection. The lubricant additives are expected to play a vital role in the coming years, towards fuel economy, especially contributing to emerging technologies like Dual Clutch Technology (DCT). The report covers the market and its trends that concern five regions, namely, North America, Europe, Asia-Pacific, Latin America, and Middle East & Africa (MEA). Lubricant additives are divided into ten major types based on their functions; they are dispersants, viscosity index improvers, detergents, antiwear, antioxidants, corrosion inhibitors, emulsifiers, friction modifiers, EP, PPDs, and others. These are made of raw materials/ chemicals such as poly amines, phenols, olefin, maleic anhydride, and others. Automotive lubricants and industrial lubricants are the end-use applications of the lubricant additives. Automotive industry is the major consumer of the lubricant additives with two-third consumption with respect to industrial lubricants additives market. Asia-Pacific, being the global manufacturing hub of the world, is the largest market for lubricant additives. Emerging economies such as China and India, and growing activities in the construction, industrial and automotive sector provide a further push to the market. Lower cost of production has provided a great opportunity for the global players to place them in the Asia-Pacific region, especially, in the developing nations such as China and India. Asia-Pacific will continue to lead the market till 2019, followed by North America and Europe. Latin America will be the second most growing market, leaving behind developed economies, such as North America and Europe. Europe will experience the slowest growth among all the regions due to economic slowdown and use of high quality lubricants. In the lubricant additives market, the industry comprises several global and regional players such as BASF (Germany), Lubrizol (U.S.), Afton Chemical (U.S.), and Tianhe Chemicals Group (China), among various others.